This is the first of what will hopefully become a series of posts reviewing the sportives in which I have taken part (I say, ‘hopefully’, because it will rely on me pulling my finger out and doing more events!). 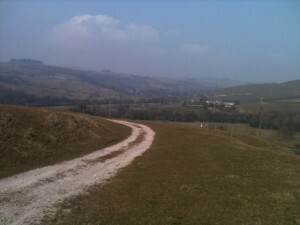 As the name suggests, the Igloo Sportive takes place in the Peak District. More precisely, after starting from the outskirts of Chesterfield, the event visits the eastern portion of the Peak District, covering an area from north-west of Sheffield in the north and Matlock to the south (depending on which route you select). I participated in the short event. The route was 68km in length with 1,309m of climbing (which I’ll talk more about below). The route offered a broad range of sceneries. Within 10km of leaving Chesterfield, we were up into exposed moorland, cycling past trees (and the odd building) growing at 45 degree angles. We then dropped down into the wooded river valley around Grindleford before climbing up the other side into Eyam (questionably branded as the “plague village”). After an undulating trundle through the verdant farmland in and around the Chatsworth estate, we popped back up to another moor, this time the one above Matlock, before finally descending into Chesterfield. Summarising it like that, I almost forget the 3 and three quarter hours of windswept effort required to get round the route. The majority of the roads on the course were quiet with few puncture-inducing potholes. The only busier section of road (the A623 coming into Calver) was downhill, lessening the impact of overtaking cars (‘impact’ in the figurative sense). There were two sections of the road which I did not find particularly pleasant. The first, between Baslow and Rowsley felt more uppy and downy (my main issue being with the uppy) than I had expected. The resultant black mood, worsened by the howling head wind, gave me little tolerance for the large number of cars passing (I assume on the way to donate vast amounts of money to the Duke of Devonshire in order to see his house). The problem with the second disagreeable section wasn’t the fault of the road (it was flat) or the cars (there were few) but the wind (there was much) and my fitness (there was little). The 10km stretch after the second feed station took place across exposed moorland with wind so strong that I had to lean sharply into it to remain upright. Intermittent gusts conspired to throw me variously into the ditch or into the path of passing or oncoming cars, without giving me a hint as to which direction I would next be flung (except forwards – the wind seemed pretty clear about not wanting to push me forwards). It certainly could have been a great deal worse. 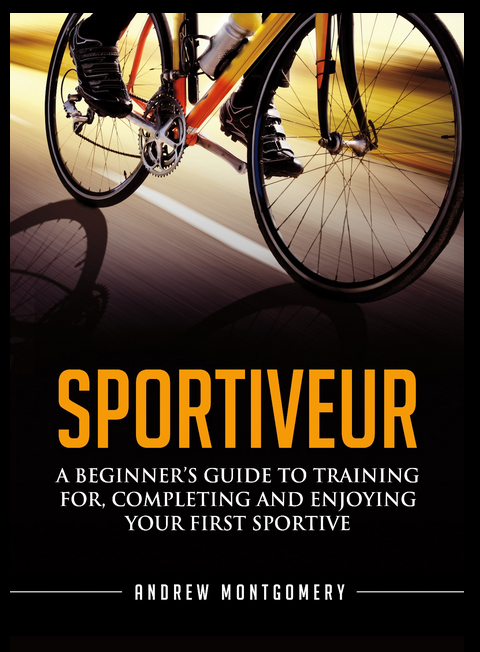 The sportive took place only a couple of weeks after residents in the area had been snowed in for days at a time. Temperatures had been bitterly cold almost right up to the event. It was a pleasant surprise, therefore, to find myself having to unzip my cycle jacket shortly into the ride and soon thereafter discard my gloves (mainly because they were unsuitable fleece ones – my son had ‘tidied away’ my cycling gloves having used them to dress as a superhero the day before). I knew from the weather forecast that it would be strong. Having to go straight into a time-trial position simply to exit the car park at the start gave me another clue. 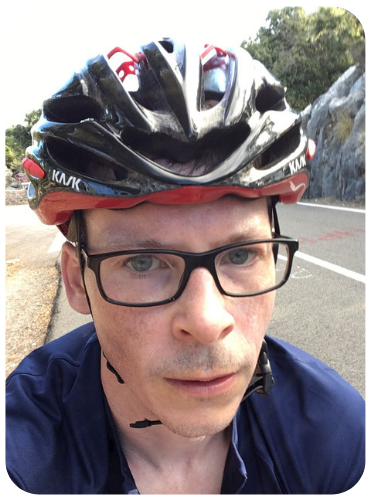 When I found myself having to pedal in order to maintain momentum whilst cycling downhill, I knew that I was in for a tough day in the saddle. How much climbing and any hills of note? Oh, you want a bit more than that? According to the final route map, there was 1,309m of ascent (and descent, given that it was a loop). This felt like a lot of climbing for the total distance covered, for my novice legs at least (but then what was I expecting, entering a sportive in the Peak District?). The two long climbs at the start of the course weren’t too bad, considering the first one kicked off right from kilometre zero and the second one seemed to have been thrown in gratuitously to make you climb up twice essentially to the same bit of moorland. They were quite long (for me) but not too steep and I was on (what you might generously describe as) fresh legs. The real killer climb came at kilometre 38, topping out 4km later, but with the real pain coming in first 1600m. I think the climb is called Rowsley Bar. It features gradients well into the double figures. At least one of the tight left hand hairpins isn’t (for my weak legs) cyclable on the correct side of the road (i.e. the inside of the bend). I’m afraid to say that I had two ‘little rests’ at strategic points during the ascent (my strategy being to avoid having a connery and falling off the bike). After finally making it to the top, my legs were shot for the remainder of the ride. Since the next 10 kilometres were flat to slightly downhill, at first I didn’t realise the full extent of my muscle fatigue. That was until I got out of the saddle for the next climb (my metronomic Team Sky in-saddle climbing isn’t quite there yet). As I stood for a Purito-style dance on the pedals, both quads immediately began the strong wobbles that indicate a cramp is on the way. I’m pretty sure I’ve never before had a cramp in my quadriceps and I certainly didn’t want to find out what one looked liked on the side of a hill some 15km from Chesterfield. I was forced to sit and attempt to spin up what hills remained in my very lowest gear. So, yes, more than enough climbing for me! The event started and finished at Holmebrooke Valley Park, on the outskirts of Chesterfield. It’s a good location. Easy to find, with plenty of parking. There was a small queue to register but the wait can’t have been more than 5 minutes or so. There were toilet facilities but no sign of the changing rooms that had been referred to in the event information (or rather, they were there but either locked or being used as store cupboards. The most important factor in any sportive is the volume of calorific snacks at the feed stations and the finish. These didn’t disappoint, with copious amounts of custard creams and bananas (amongst other things) at the course control points, and what looked to be a sufficient quantity of cake, tea and coffee at the end of the event. But then it was my first sportive of the year (and my first for over 7 years), it was a bright sunny morning (let’s ignore the wind) and I was cycling through an area of outstanding natural beauty just 30 minutes from our new home. What wasn’t to like? The course featured plenty of climbing overall and one particularly severe ascent – enough to give me a strong sense of satisfaction for having got round and sufficiently encouraged that, with training, I’ll be able to climb hills like these with a great deal more panache in the future. I’ll probably aim to do it again next year. Who knows, I may even have the legs to do the long course. Perhaps you should all join me! That’s it from me. Now over to you. Are you prepared / excited / squeaky-bottomed? Is there an event or ride that you are particularly looking forward to this year? As ever, let me know in the comments box below. This makes us want to ride in the UK. Here’s what we have coming up in the sunny (30 degrees yesterday) South of France. Thanks Paula. That website is something to behold – I hope the ride itself is more relaxing!